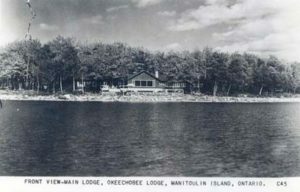 From the 14th to the 18th of August 2017, the Manitoulin Island Summer Historical Institute (MISHI) will be held in Manitoulin Island, Canada. The theme of this year’s meeting is “Does Wisdom Sit in Places? Sites as Sources of Knowledge”. This event is a joint initiative of the History of Indigenous Peoples Network and the Ojibwe Cultural Foundation. The MISHI is held annually and is designed to bring together students, researchers, and teachers for a week-long investigation of Anishinaabe history and culture. This event may be of particular interest to researchers whose work deals with Native American Names and Naming. embedded in space or moves around or can be transported and transplanted.